I recently read on Writers Write that a debut fantasy within the fantasy category should land on approximately 100 000 words. 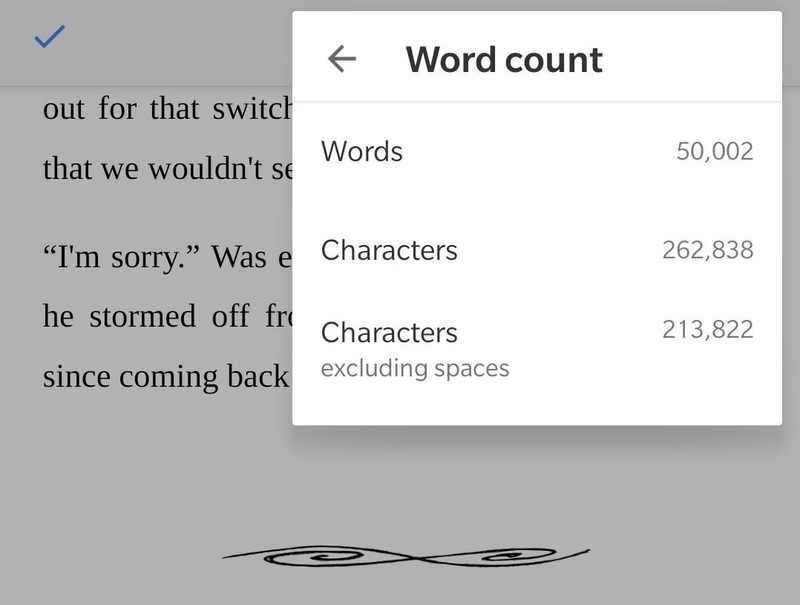 Yesterday I hit the 50k mark and am therefore halfway done with my debut novel! I am currently writing on the 16th chapter and as soon as that one is written, I will also have reached milestone 2 out of a total of 8 for this story. Initially, I thought that this would only result in one book, but the more I thought about the story and everything I wanted to have in it, I realized that it would be way too much for one book. At least as the debut. And now, done with 2 milestones, having the perfect cliffhanger for the first half of this duology after milestone 4, I am one hundred percent sure that it will be two books. And probably a third one later on. I am so excited and thrilled when I see everything unfold inside my head right before I write it down. I am proud of myself to actually have managed this. I am actually writing a book that might be finished in the not too distant future. And I really like the plot and believe in it. I think I would have stopped writing a long time ago if I didn’t. This entry was posted in Aspiring Author by Alexandra. Bookmark the permalink.